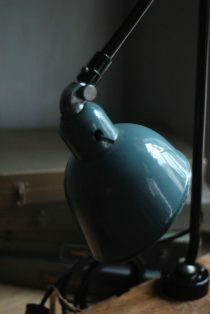 After the thorough dismantling, the lamp was cleaned, newly painted and rebuilt again. 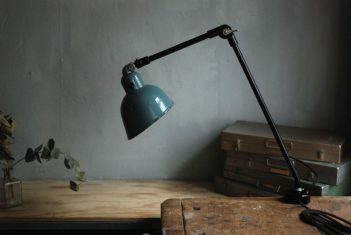 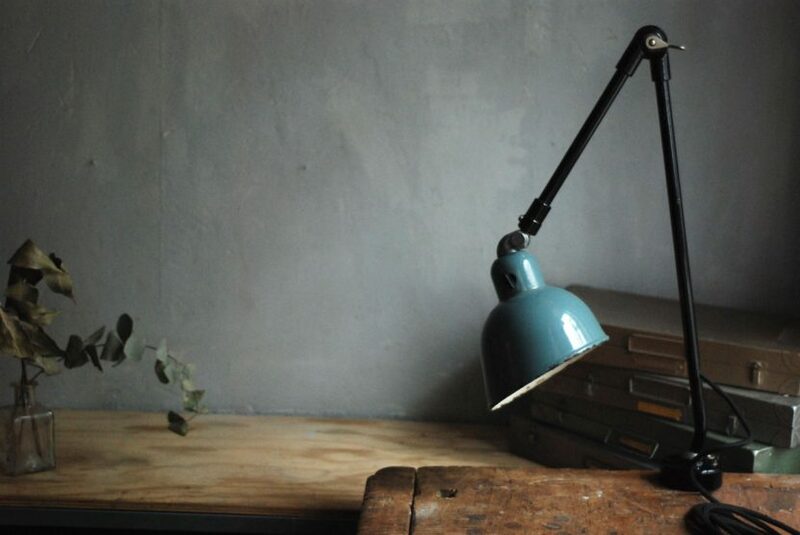 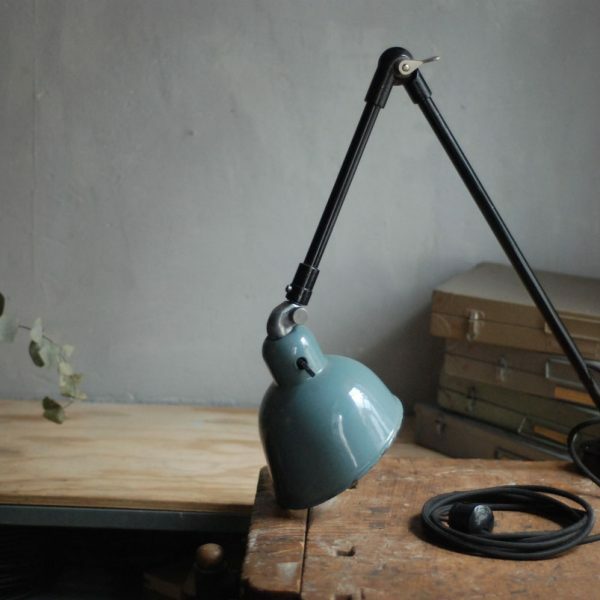 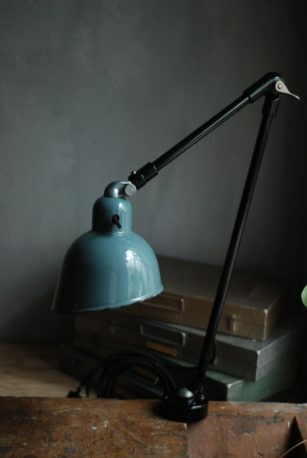 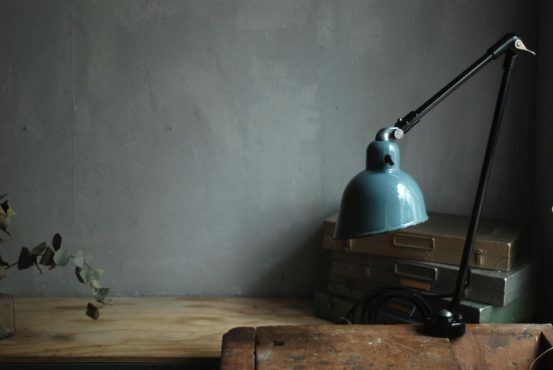 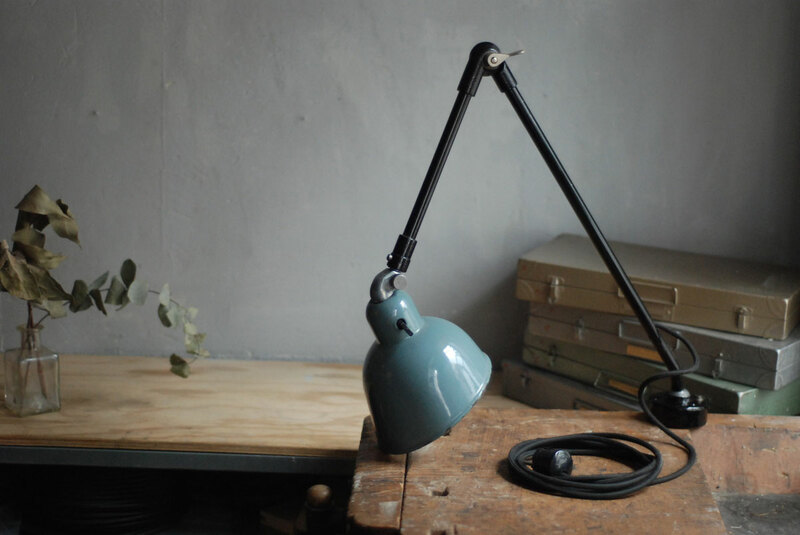 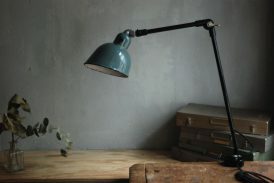 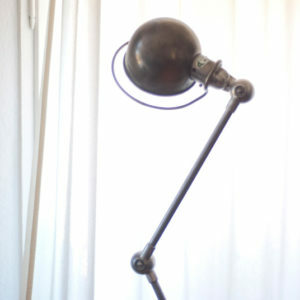 The lamp has signs of wear consistent with its age and use and a nice patina. 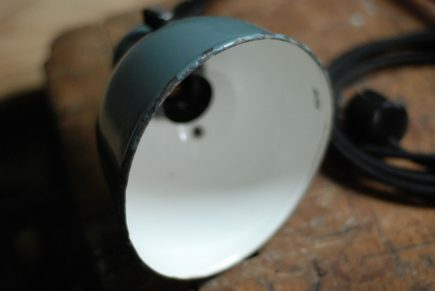 The shade is in a very good condition and has a few losses of enamel. 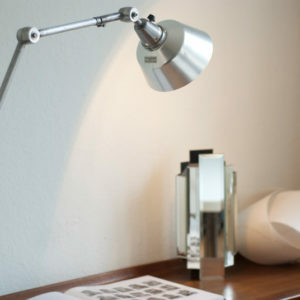 The mechanical system of the lamp functions good but is for decorative aims. 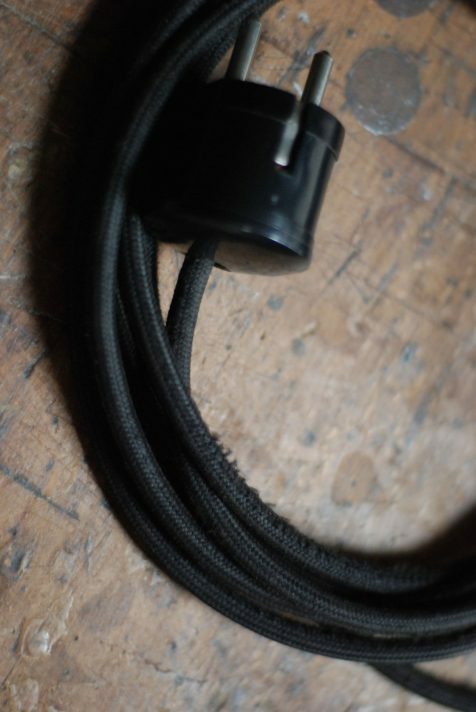 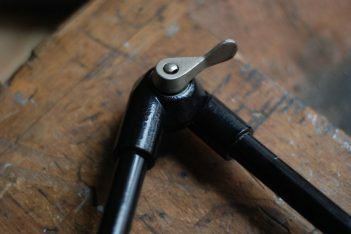 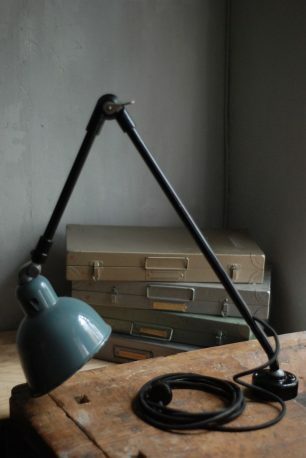 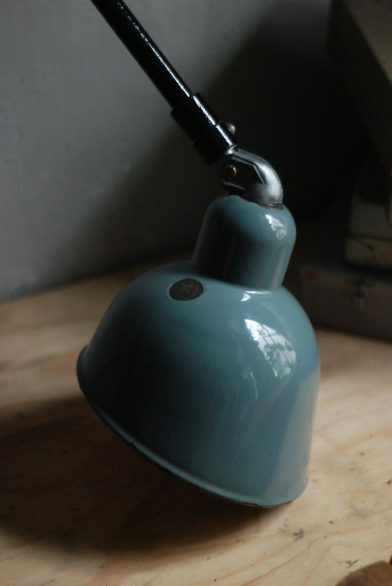 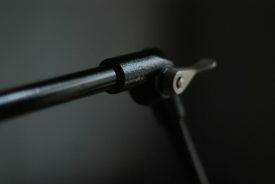 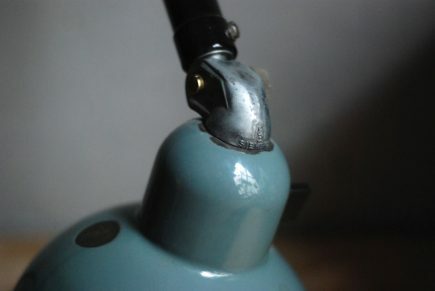 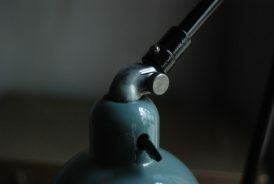 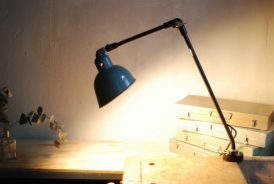 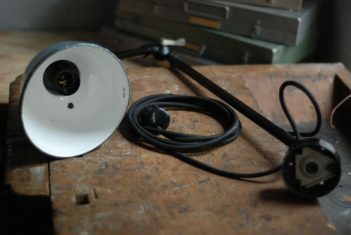 The light is operated clockwise by a rotary switch located on the original bakelite lamp socket. 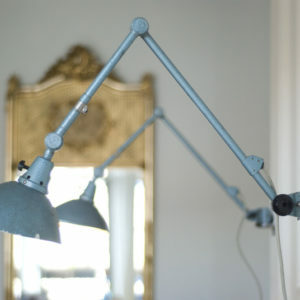 The lamp can be screwed at the table or the wall with the original wall-mount bracket and screws.